Going through our archives, we came across this great post by Dr. AnnMaria De Mars from March 20, 2016 “Some Day Will Be Your Last Day on the Field” that we wanted to share in case you missed it the first time around. Wow, it’s been a minute! I didn’t realize until I sat down at the computer tonight that it had been two weeks since I wrote my last blog post. After the International Sports Hall of Fame weekend in Columbus, I came home to work on our in-house hackathon for Forgotten Trail. 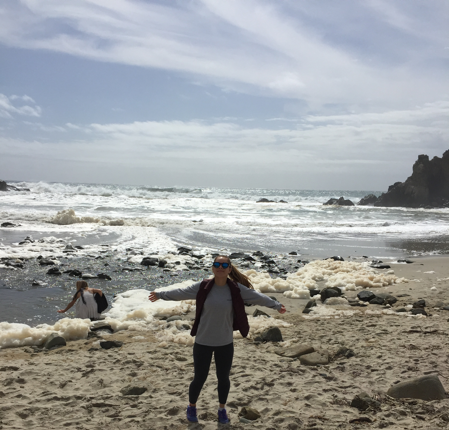 Then, we took off to Big Sur to go camping for Julia’s birthday. We kicked off the next week with a sprint on marketing initiatives – blogging, pitching at two start-up events. Then, it was off to Palm Springs where we had an exhibit and I gave a talk on educational games at the Computer Users in Education conference. I’m also teaching a course on epidemiology and … well, you get the idea. 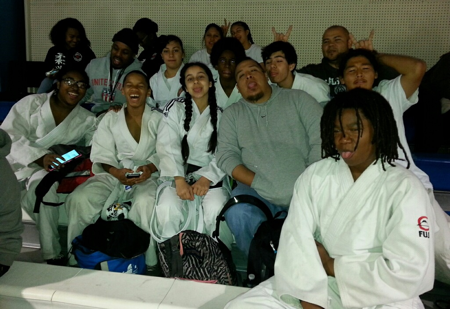 I’ve been so busy I even had to miss the Gompers Judo team competing at the Gardena tournament. I was so bummed! I found this really interesting, for two reasons. 2. Most of those kids had been playing for 10 years or more. They did a cute video that showed their progression from little four-year-old soccer players to ten-year-old soccer players until now. Except for Julia. Her four-year-old and ten-year-old pictures were in a judo gi since she did not start soccer until later. The point the coach was making, though, was that things have an end and they go from being our day-to-day life to our memories. Whether it is soccer or judo or work, many of us have something that seems all-absorbing for a while, often a decade or more – and then it is over. That is not a bad thing. It’s totally okay to move on. These girls will go on to college, to careers, to raise families. As the coach said, they will remember one or two games they won or lost but by and large, those things that loomed so huge in the moment – missing this goal, letting that one through, having a bad day at practice – will completely fade away. They’ll remember the feelings of being sore after the first two-day tournament of the season, the times they didn’t want to go to practice but did anyway. She’s right – I’ll NEVER forget the winter training at Waseda University – getting up and having to run to the second closest train station to my house because not even all of the trains were running that early, and training with all of the windows and doors open in January at 5:30 a.m. to “toughen us up”. Feel smarter after reading this? Want to be even smarter? 7 Generation Games makes adventure games that teach math! Download one now for you or someone else you want to be brilliant. ← What did I learn in Chile?